The famous life story of the Lakota healer and visionary, Nicholas Black Elk. Widely hailed as a spiritual classic, this inspirational and unfailingly powerful story reveals the life and visions of the Lakota healer Nicholas Black Elk (1863–1950) and the tragic history of his Sioux people during the epic closing decades of the Old West. In 1930, the aging Black Elk met a kindred spirit, the famed poet, writer, and critic John G. Neihardt (1881–1973) on the Pine Ridge Reservation in South Dakota. The Lakota elder chose Neihardt to share his visions and life with the world. Neihardt understood and today Black Elk is known to all. Black Elk’s remarkable great vision came to him during a time of decimation and loss, when outsiders were stealing the Lakotas’ land, slaughtering buffalo, and threatening their age-old way of life. As Black Elk remembers all too well, the Lakotas, led by such legendary men as Crazy Horse and Sitting Bull, fought unceasingly for their freedom, winning a world-renowned victory at the Little Bighorn and suffering unspeakable losses at Wounded Knee. Black Elk Speaks however is more than the epic history of a valiant Native nation. 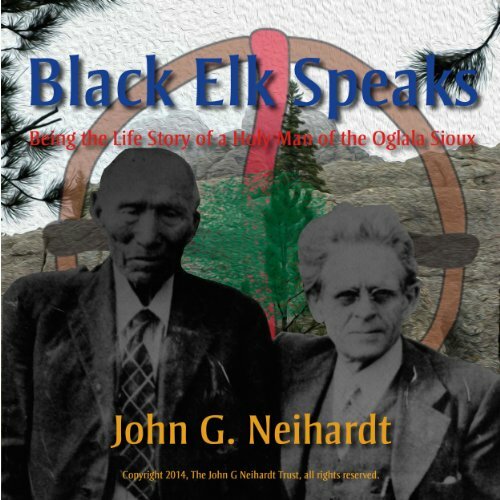 It is beloved as a spiritual classic because of John Neihardt’s sensitivity to Black Elk’s resounding vision of the wholeness of earth, her creatures, and all of humanity. Black Elk Speaks is a once-in-a-lifetime read: the moving story of a young Lakota boy before the reservation years, the unforgettable history of an American Indian nation, and an enduring spiritual message for us all. The premier edition features the first-ever annotated edition of Black Elk’s story, done by renowned Lakota scholar Raymond J. DeMallie, the original Standing Bear illustrations and new commentary on them, new maps of the world of Black Elk Speaks, and a revised index. the narration was robotic, and if not for the story it self I would have not finished . Would you listen to Black Elk Speaks again? Why? This is a book that I will be relistening to and rereading over and over again the rest of my life. It is so full of fascinating detail about another culture, spiritual insight and wisdom that I will get more out of it every time I listen to it. The spirituality of the hoop of the world. The ending when Neihardt takes Black Elk up Harney Peak one last night. Which character – as performed by Robin Neihardt – was your favorite? Yes. It is easy to listen to RobinNeihardt's voice so the fascinating book comes through well. The greatest and saddest story I've listen to, well captured by Flaming Rainbow. How badly The People were treated, and the constant soup of lies they were forced to eat. Do not listen if you are not ready to hear America's dark history. What strikes me is how surprised people are to hear about the freedoms lost to our Govt today. Read and listen to the history of your Grandfathers folks; don't think that what was done to The People before wont be done to you tomorrow. This is by far the best book I've ever read about Native American culture. A must-read for anyone interesting in the spiritual practices of the Native American Indians. It’s a great and horrible story of a fall of a nation once great. And even that it is perceived “natural” that some nations conquer others in the course of the history, it is horrifying to learn the details through the eyes of those who witnessed it. To hear the words of Black Elk is so moving and sad indeed! May his vision yet be realized...for all. If you could sum up Black Elk Speaks in three words, what would they be? Black Elk ... simple, understandable use of language but with tremendous meaning in every word. You can appreciate his life story simply as an autobiography or you can quickly find the deep understanding and meaning therein. Have you listened to any of Robin Neihardt’s other performances before? How does this one compare? The narration is VERY dry and formal, BUT this is appropriate for the topic and the story. Yes, I listened to the entire book in one sitting but I plan to revisit sections in the future and dig deeper. I think a reader could use this an entre into the Native American spiritual perspective, but I think you could also use this much later in your research and growth on a much deeper level. Fascinating personal history of one member of the Lakota tribal bands, the religious visions, the challenges of life, and the challenges of a calling, was all very moving. The narration is superb. This is a must read.